I have started a little project a few weeks ago. More precisely, I have started a project with a small goal (hence my calling it “little”) but with a long, long way to get there. I want to know – just roughly – how many birds I have seen in my life. Not how many bird species, but how many bird individuals. In order to achieve this, I have started to “digitalize” all my notes and various travel reports, which is no small feat. I reckon that this will keep me busy for at least a year, but one of the project’s most critical aspects has recently led to an interesting insight, which I feel is worth blogging about. I will only find out how many birds I have counted and written down. However, this may be way, way below the number of birds I have actually seen but not actively noted: from the car, walking to work, in front of my office window and so on. But just how “way, way below” the actual number will my data’s overall sum be? In order to shed some dim light onto this dark figure, I painstakingly wrote down every single bird I saw during a recent visit to the Wagbachniederung, a very attractive wetland complex (former poo ponds) near Heidelberg. 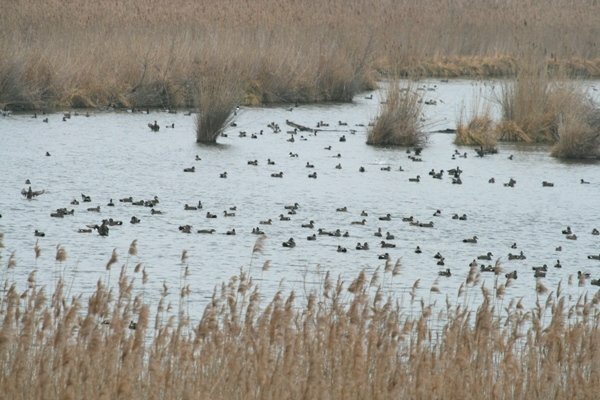 The Wagbachniederung is reknown for its waterfowl, shorebirds, and good breeding populations of several species that are very localized in Germany. During such a visit, one would normally just write down the numbers for the “better” duck species, for all the shorebirds, and for a few selected songbird and raptor species. The rest would be uncounted and not put down in the notebook. So, this time I counted the common species – one by one – with the same verve as I would apply to the area’s “specials”, and the results are remarkable. Below is a long, long list of the species I encountered (66, which is a very respectable species count for the middle of March in southern Germany) and the totals for each species. Species in bold are species I would have counted and written down as “special” in my notebook – and that would thus have been included into my species statistics mentioned above. If I haven’t messed up above, the overall sum should be 1,816. As a purely “recreational” birder, who only writes down what is personally interesting, the sum would be 30, or 1.6% of the individuals present at the time of my visit. And if I was more thorough and e.g. 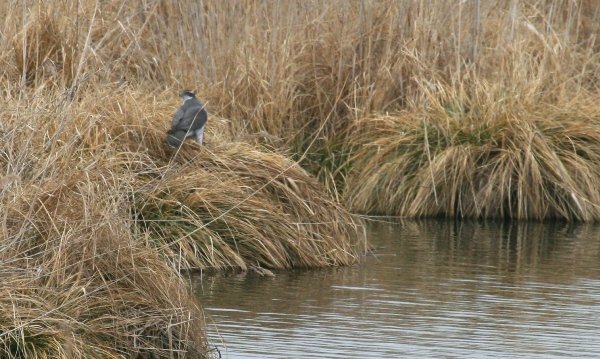 conducted a complete waterfowl survey, the sum would be 1,115 or 61% of the individuals present at the time of my visit. This still means 40% of the birds in a given area would go unnoticed or rather unnoted by me even on “counting days”. Whatever the outcome of my “little project” of counting all the birds I have seen in my life will be (probably in the – very – low Millions), it seems safe to assume that this number will be no more than 50% of the amount of birds I have actually laid eyes upon in my life. Which, I guess, is nice to know. Interesting, 50% may even be too high. Like today I watched a flock of White Stork flying above the house, I only counted to 70 on the photo I took but there were much more than that..and at Nylsvlei in January, I observed a huge flock of Blackwinged Pratincole that I could never count accurately, again I got to 500 specks on the photo but there were a lot more than that….How many Laughing doves visit the garden, how many Eurasian Bee-Eaters have I seen? Mind boggling stuff!! Out of curiosity, I added up the birds I’ve reported to eBird and came up with a total of 417,224. (Spreadsheets make that easy to do.) The numbers I enter into eBird are a fairly limited sample of the bird individuals I have seen in my life. Even as a birder, there have been many occasions when I didn’t keep track of the numbers or forgot to enter a checklist. So the real number of individual birds would easily range into the millions, and likely many more than that. @John: Thanks for giving your numbers/totals! It is an intriguing project, and to get an impression from other birders is quite interesting. Keep Your Cat Indoors – And Save It From Coyotes!